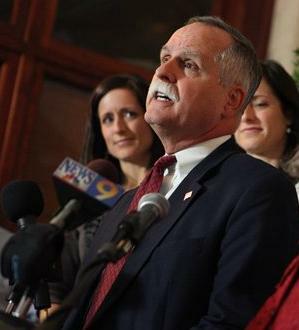 Will Rep. McKinley attend citizen meeting? September 2, 2011 by Ken Ward Jr.
Well, according to the Daily Mail, Rep. David McKinley took in $20,000 at a fundraiser over at The Greenbrier, where West Virginia’s leaders of business and industry are holding their annual summit. But so far, his office has declined to say whether he’s planning to accept an invitation to meet publicly with citizens who are concerned about his stance on the regulation of toxic coal-ash. Citizen groups invited him to the meeting at noon tomorrow in Chester, W.Va.
We will continue to meet with constituents across the 1st District like we have been doing since Rep. McKinley was elected into Congress. If this group or any group or individual would like to join Rep. McKinley at a town hall or forum he will host in the coming months, they are invited to do so. But so far, she hasn’t responded to my question about whether Rep. McKinley will accept the citizens’ invitation to attend their meeting tomorrow. The citizens also proposed a number of other dates … so stay tuned.